The IAAF’s World Indoor Tour comes to a conclusion on Saturday with the Müller Indoor Grand Prix in Birmingham, England, and it offers up most of the weekend’s best action. There’s more, though, with some interesting competition in the USA and Canada, and of course the world’s deepest and toughest distance races at the Kenyan Cross Country Championships. As always, our What2Watch page give you all the television and webcast listings. What’s the top matchup of the weekend? It’s the headliner of a competition that boasts a staggering amount of talent. These are the world’s two best runners for anything longer than a track 10k and shorter than a marathon. Geoffrey Kamworwor is the reigning world champion for both half marathon and cross country, and Bedan Karoki was runner-up in both of those races. Karoki is in fine form but is coming off a short turnaround from winning the Ras Al Khaimah Half Marathon last Friday in a PR of 59:19. He had originally not planned to contest the national cross country championships but changed his mind a few days ago. This will be the season opener for Kamworwor, who recently revealed he suffered from pneumonia after the Olympics, then dislocated his left arm in an October auto accident. Kenya is the SEC of cross country, so names like Josphat Korir (2013 world cross country champion) and Augustine Choge (12:53.66 5k PR) are relegated to the background. Since this is a competition run by Athletics Kenya, which makes the Trump administration look honest and organized by comparison, no competition timetable has been published nor do we know if any web coverage will be available. The various races of the day are likely to take place sometime between 8am and 1pm in Kenya, which is midnight to 5am in the Eastern time zone. The Kenya Broadcasting Corporation website has been suggested as a possible video provider. EDIT: Justin Lagat has given us some help. @LWarrenMaher @tracksuperfan I also have something like a timetable: 8Am junior women start.12pm, senior men start. As the New Jersey-New York Track Club reconvened last fall and picked up a sponsorship deal with HOKA ONE ONE, a plan was hatched to go after the world record in the indoor 4xmile relay. And one of the people suggesting it was agent Ray Flynn, who just so happens to be part of the existing outdoor world record in that event from 1985 in Ireland. At the inaugural Artie O’Connor College Invitational at The Armory, the NJNY TC’s lineup of Donn Cabral, Ford Palmer, Kyle Merber and Colby Alexander will try to rip apart the indoor record of 16 minutes, 16.67 seconds set by the New York Athletic Club in 1993 and drive it under 16 minutes. Under 16:00 would be quite an accomplishment. Either indoors or out, only two relay teams have ever done that, the above-mentioned Irish team that also included Eamonn Coghlan and Marcus O’Sullivan (15:49.08), and a 1983 New Zealand team anchored by John Walker. The outdoor American record is 16:03.24, set in 2009 by a University of Oregon crew that included Matt Centrowitz, Andrew Wheating, and Galen Rupp. @Trackside2017 @pahunt1978 let someone in who could beat Mo? Expect AB to move to the mile last minute! Turns out he was wrong only in that Butchart has completely withdrawn from the meet. 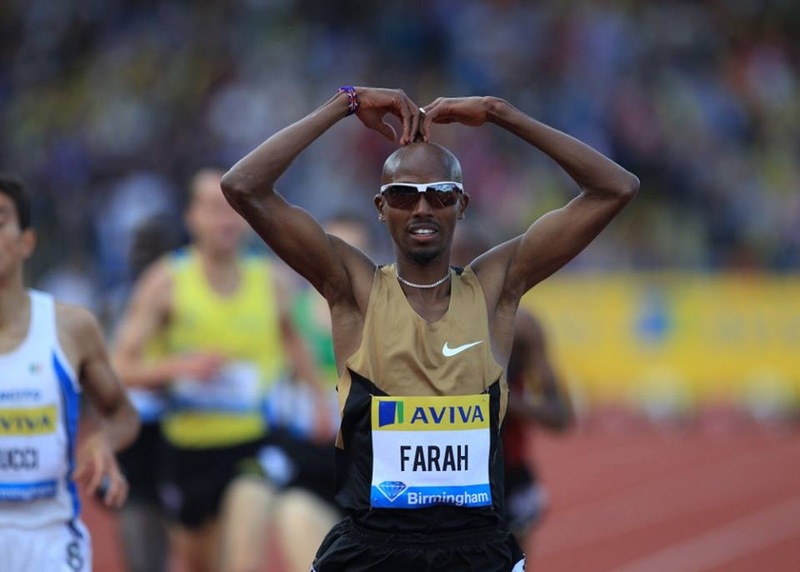 Farah has a much easier path to victory now. The long jumpers are apparently not afraid of real competition. Jeff Henderson had a dream season last year, capped by an Olympic gold medal. He’s spent the indoor season running the 60 meters (and will in this meet) and this is his first jumping competition of the year. Australia Fabrice LaPierre won silver at the 2015 World Championships and took first three weeks ago at the New Balance Indoor Grand Prix in Boston. These three faced off at the first meet of the World Indoor Tour, the New Balance Indoor Grand Prix, and Obiri came out on top. Between now and then, Obiri lost to Scotland’s Laura Muir, who is chasing records over 1000 meters later in the meet, and Hassan defeated Rowbury at the NYRR Millrose Games. Taplin and Maslak are tied atop the World Indoor Tour standings in this event, so this is for all the marbles. Specifically, the tour winner gains a significant cash prize plus an automatic qualifier to next year’s World Indoor Championships. They’ve split their two meetings so far this season. The Olympic appearances of Grabarz and Kynard have been oddly close. In 2012, Kynard came away with a surprise silver while Grabarz tied for bronze. Last year Grabarz was tied for fourth while Kynard was sixth, and both cleared the same height. Both have competed lightly this winter while Thomas already has the World Indoor Tour series title wrapped up. Poland’s Jóźwik has three wins in three races on the World Indoor Tour, including a sub-2:00 clocking at the most recent one in Torun. Canada’s Bishop has opted for a more low-key season so far, with wins in North Carolina and Ireland, and while neither was as fast as Jóźwik’s best she wasn’t remotely pressed. The pair were fifth and fourth in the Olympic final last summer. How long has Kim Collins been doing this? He made his first Olympic team for his native St. Kitts and Nevis (in 1996) shortly after Microsoft released its first version of Internet Explorer (in 1995). This is his 50th career competition in the UK and he’s a crowd favorite virtually everywhere he runs. Baker, a two-time NCAA champion at this distance, raised eyebrows last week with a 6.46 clocking, which ties the fastest by an American in the last 14 years. This is a new meet at Staten Island’s Ocean Breeze indoor track complex, a venue that is itself barely more than a year old. It targets the sub-elite post-collegiate athlete (the kind of meet the USA needs most) but Brannon Kidder and Shaquille Walker are nearly elite. Kidder won the 1000 at the Millrose Games last week. while Walker was near the tail end of that race. Cutting the distance down to 600 may give Walker the advantage. In terms of pure name power in this meet, Olympian Robby Andrews give the men’s mile the most prestige. Sweep the race, win $2,250. Thus an athlete can run hard for a few laps and win some money, then jog it in. The real question is how long the speedsters can last. The quarter-miler in question is four-time Olympic medalist Jeremy Wariner, the half-miler is U.S. Olympic Trials semifinalist Drew Windle, and the miler is Canadian Olympian Charles Philibert-Thiboutot. 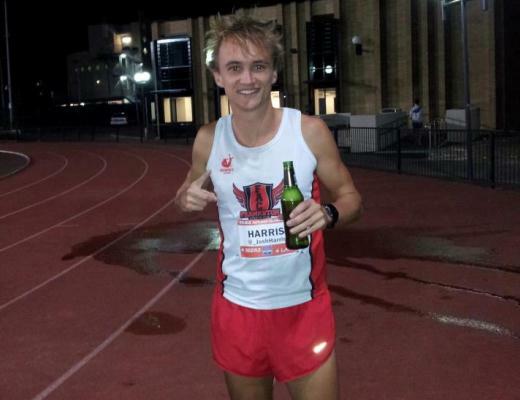 Adding to this circus is the presence of Lewis Kent, Canada’s former world record holder in the beer mile. The meet is an add-on to the Canadian Indoor Championships for youth and juniors. It includes “National” and “International” events, and the final few lanes for some of the international events will be filled with qualifiers from the national events. This mini-meet combines a 1000 meter road race and an elite shot put competition. Ryan Crouser and Tom Walsh are respectively the Olympic gold and bronze medalists. An outside threat to win is another Kiwi, Jacko Gill, who finished ninth in the Olympics and has already gone over 21 meters this winter.